WhatsApp seems to be on a huge feature-updating spree. Recently, the developers updated the voice calling feature for all users and then came in news about video chat mode. Nevertheless, the video chats are yet to be implemented. 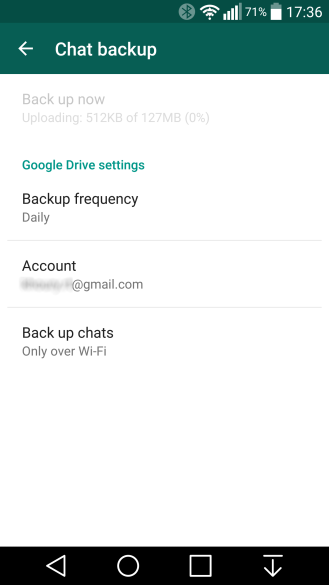 Earlier, there were some rumours about WhatsApp to enable message backups to Google Drive. Well, it looks like it is finally here. If you are using WhatsApp, you could always save and restore your old messages. 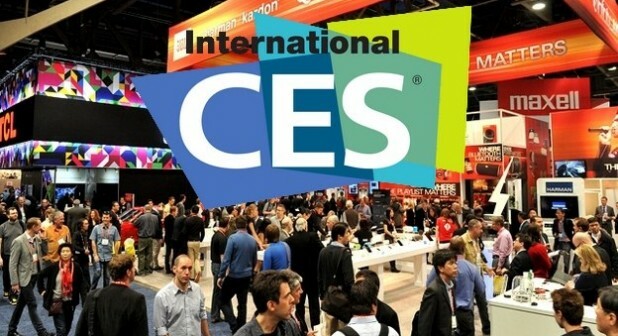 The messages are stored in an encrypted database file within the smartphone itself. The encrypted backup database is stored in the WhatsApp folder on the internal storage of Android. You need to regularly keep a copy of the folder on your PC. If you change or upgrade your mobile, you need to copy the saved folder back to the same location before installing WhatsApp, to restore your old chats. But if you lost your mobile, you can say goodbye to your old messages. 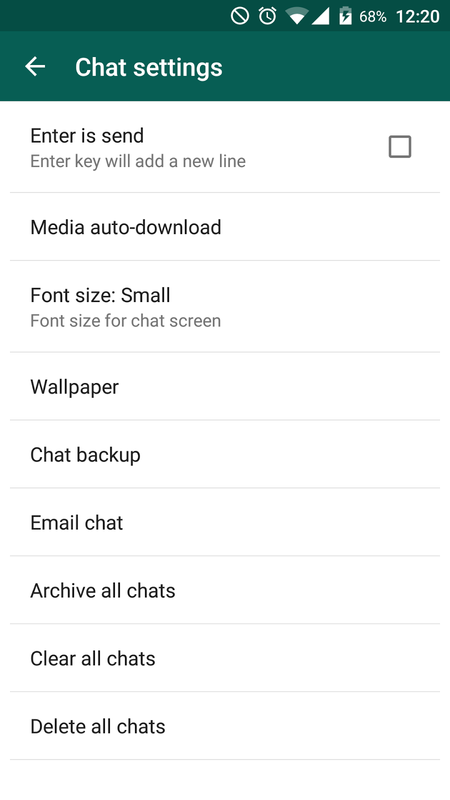 The new feature is impressive indeed, and connects your Whatsapp account to Google Drive to back up your chat data. This would include all your chat messages and the images stored within your chats. As of now videos cannot be backed up. The new version of WhatsApp (version 2.12.45) is not yet available for download on the WhatsApp website (or even the Google Play Store), but if you are interested to download the new version (unofficially), click on the link below. What is indeed a smarter feature is the ability to customise how and when you want your data can be backed up. This can be found in Settings>Chat Settings> Chat Backup. 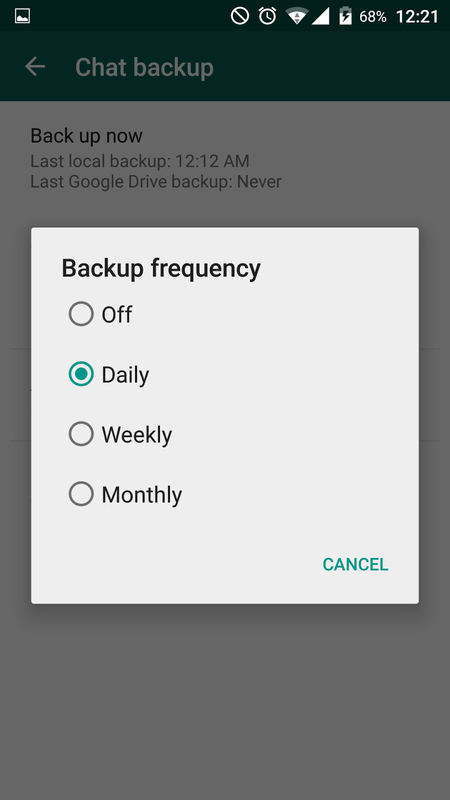 Here you will find the options to add your Google Drive account, the frequency of your Backup and how you want to get it done (Wi-Fi or Mobile Data). The other new feature that was added earlier was Material Design, The new Material Design overhaul brings a refined look. Though the general layout is same, it now has a refreshing colour scheme – a deep green title bar that blends seamlessly into the three tabs for calls, chats and contacts. The chat window comes with new buttons to record voice messages, and also made available in attachment option pop-up. 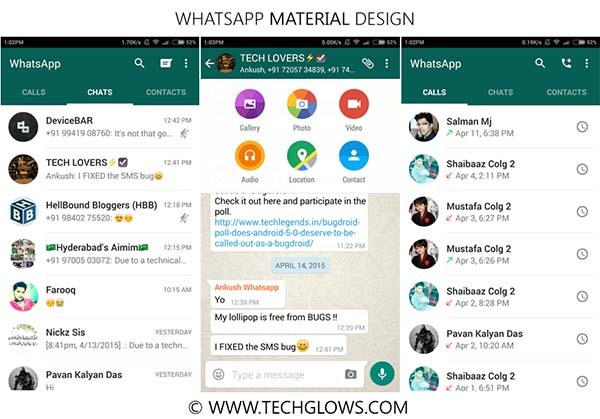 During group chats, one will find a cleaner layout and a larger cover image. One will also find some cosmetic changes made to the media selection screen.